The tomb of Rachel, a Biblical figure, is an important holy site for Jews, Christians and Muslims alike. 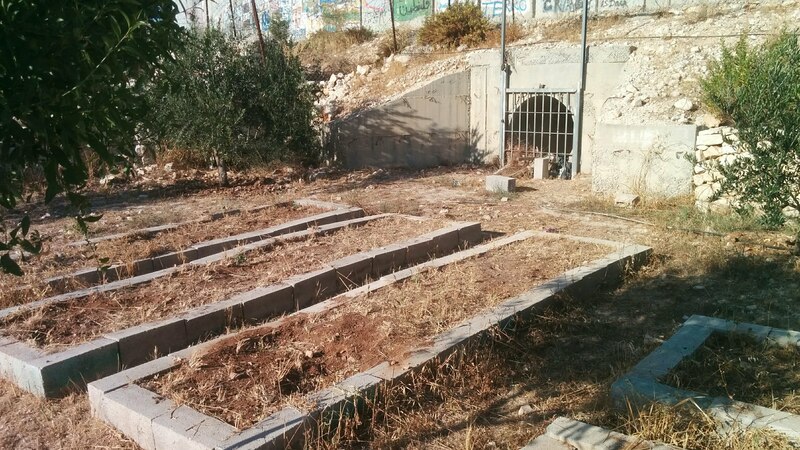 Rachel’s tomb, along with the rest of Bethlehem, where it is situated, is under Israeli military occupation. This makes it increasingly difficult for Palestinians to access the site, and has a very damaging impact on the surrounding area. Israel is in the process of building a separation barrier between Israel and occupied Palestine. Despite Rachel’s tomb being located in the Palestinian city of Bethlehem, Israel has chosen a route for the barrier that goes around the site, annexing it into Israel, as shown in the map. UN map showing the location of Rachel’s tomb, east and north of Ayda and al-Azza refugee camps respectively, with the West Bank barrier shown in red. Palestinians living outside Israel can only cross the separation barrier if Israel permits them to. However, permits are only generally issued for specific purposes and time periods, as detailed in a 2018 report from the Applied Research Institute, Jerusalem. Israel often refuses to issue them, or cancels existing ones, for arbitrary reasons. As such, access to Rachel’s tomb is now heavily restricted for Palestinians, though Israelis can travel freely to visit without a permit. Other religious sites on the Israeli side of the barrier face the same restrictions, such as the Al-Aqsa Mosque in East Jerusalem, which is the third holiest site in Islam. As well as restricting access to worship, the route of the separation barrier through Bethlehem has made life on the Palestinian side very difficult. “Hundreds of businesses have shut down” because of the barrier, explains Usama Nicola, who works at the nearby Wi’am Palestinian Conflict Transformation Center. It annexes part of Hebron Road, the main road through Bethlehem, and it has transformed the area into a “ghost neighbourhood” and prevented “the natural growth of Bethlehem”. As with the rest of the separation barrier, the section surrounding Rachel’s tomb contains military watchtowers. In 2015, a sniper in one of these towers shot dead 13-year-old Aboud Shadi, who was simply spending time with some friends, an incident which the Israeli military described as “a mistake”. 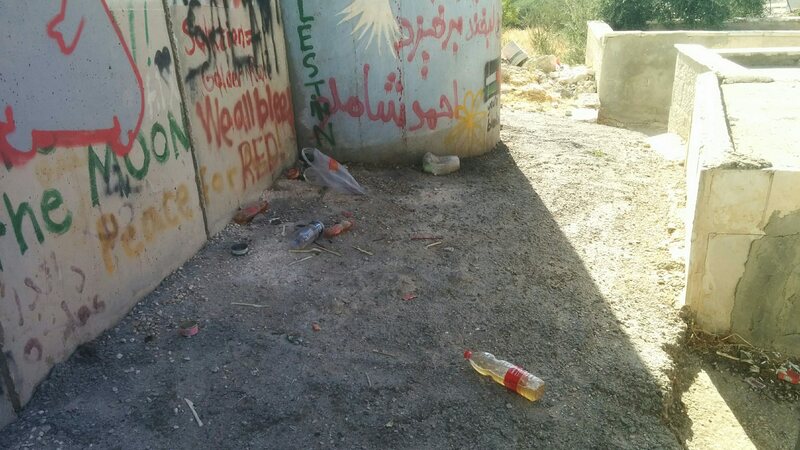 The base of another tower, which is in a Palestinian cemetery, is littered with bottles full of urine, which Usama has seen being thrown from the tower by Israeli soldiers. 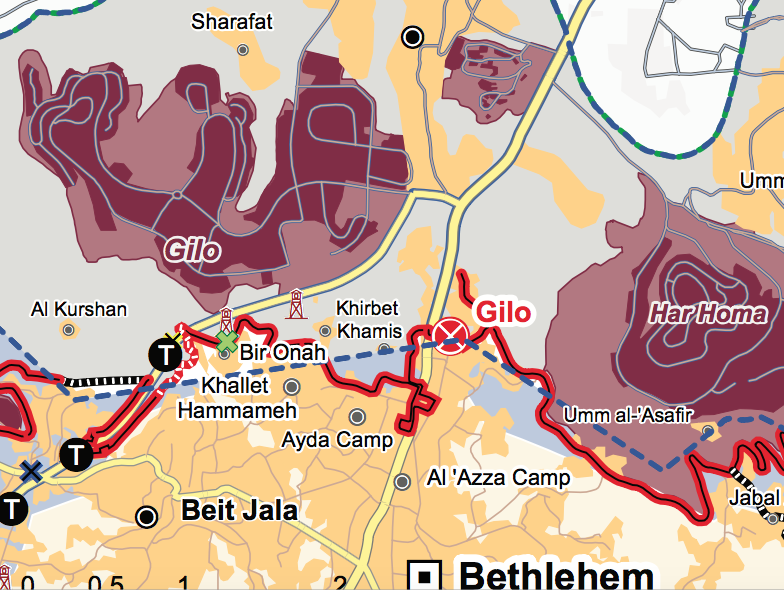 In addition to Rachel’s tomb, this annexed section of Bethlehem contains a military base. Israeli soldiers from this base enter the nearby Aida refugee camp on a weekly basis and arrest Palestinians – often children. As detailed in a 2016 report by Defense for Children – Palestine, Palestinian children detained by Israel are commonly subjected to torture and forced to sign confessions, in contravention of international human rights law. The military courts that are used to try these children (as opposed to the civil courts for Israeli children) have a conviction rate of more than 99 per cent. The annexed area also contains a small Israeli settlement, and you can sometimes hear Israeli children playing on the other side of the wall. Last summer, raw sewage was pumped from the settlement into the adjacent community garden of the Wi’am centre. Usama explains that children used to plant vegetables there, but because of the “terrible” sewage the old plots now lie untended. Many other Israeli settlements across the West Bank, which are illegal under Article 49 of the 4th Geneva Convention, likewise pump raw sewage into nearby Palestinian land. Rachel’s tomb and the surrounding area is just one small part of occupied Palestine that is impacted by the separation barrier. According to the UN the barrier is 65 per cent complete and projected to be 712 km long when finished, with 85 per cent of the route running inside Palestine. The International Court of Justice has ruled that the route, which runs into occupied Palestine, together with the associated permit regime, violate international law. Israel maintains that the barrier is a legitimate security measure to prevent Palestinian terrorism. Write to your elected representatives to raise your concerns about the Israeli separation barrier and associated permit regime, which discriminates between Palestinians and Israelis, and ask them to take action [https://www.writetothem.com/. This entry was posted in Access and movement restrictions, Christians in Palestine and Israel, Current EAs, Restrictions on access to worship, Separation Barrier, Uncategorized. Bookmark the permalink.